NICOLA FORMICHETTI'S BLOG!! 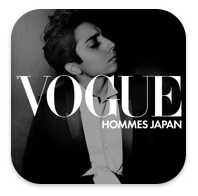 : VOGUE HOMMES JAPAN ISSUE 5 APPLICATION FOR iPAD & iPHONE!! VOGUE HOMMES JAPAN ISSUE 5 APPLICATION FOR iPAD & iPHONE!! IPad is not intended to replace computer in anyway.It however does a lot of things which a computer does and surprisingly it does better and faster.Ipad is an amazing invention from apple.It has many flaws and drawbacks too.Apple should consider those things.It doesnt have camera even.I usually shop on this online shopping site for ipad when i came acros with different blogs.Do check it out for many other products.Ipad and blackberry books are both the same.Blackberry book comes with many new feature while ipad lacks sum functions.